Yolk pushes the envelope with new and creative breakfasts, specialty juices, and premium, private-label coffee. 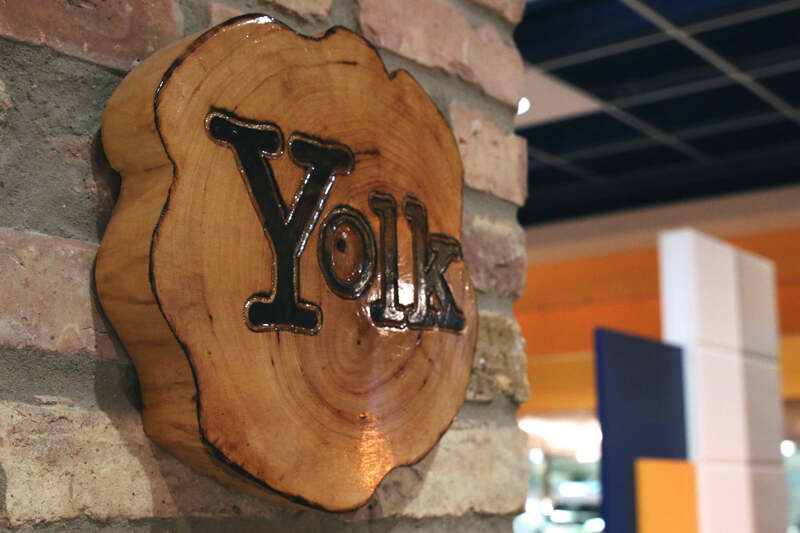 With a fresh approach to breakfast and lunch in an urban, upscale setting, Yolk offers generous portions from a unique menu. Select signature specialty dishes like pot roast benedict and red velvet French toast or enjoy their signature pancakes, crepes, French toast, waffles, omelets, and frittatas. But it’s not just about eggs – you can also order lunch fare like incredible salads, sandwiches, wraps, and burgers. And if you’re looking for a great spot for brunch, look no further!